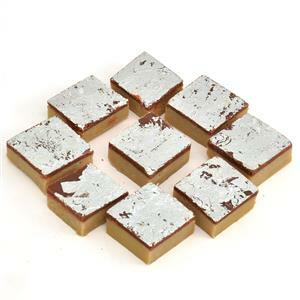 A heavenly assortment of Kaju Barfi(250 Gm), Kesadia Peda (500 Gm) and Mewa Tikki (250 gm) is waiting just for your loved ones. 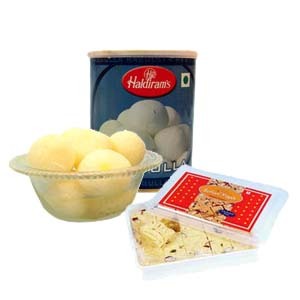 These three savory items are arranged beautifully in a Steel thali. 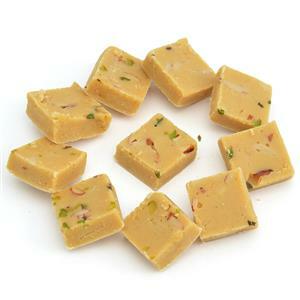 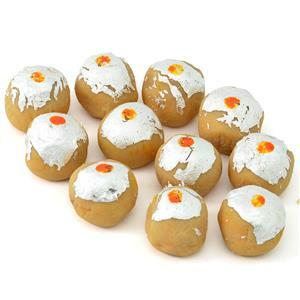 Let your loved ones in 500+ cities in India enjoy the delicious taste of these sweets on a special occasion. 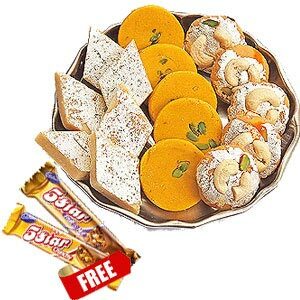 Send this sweets thali along with your exclusive Online Gifts to India to express your love and regards.